Santa is coming to Sri Lanka! 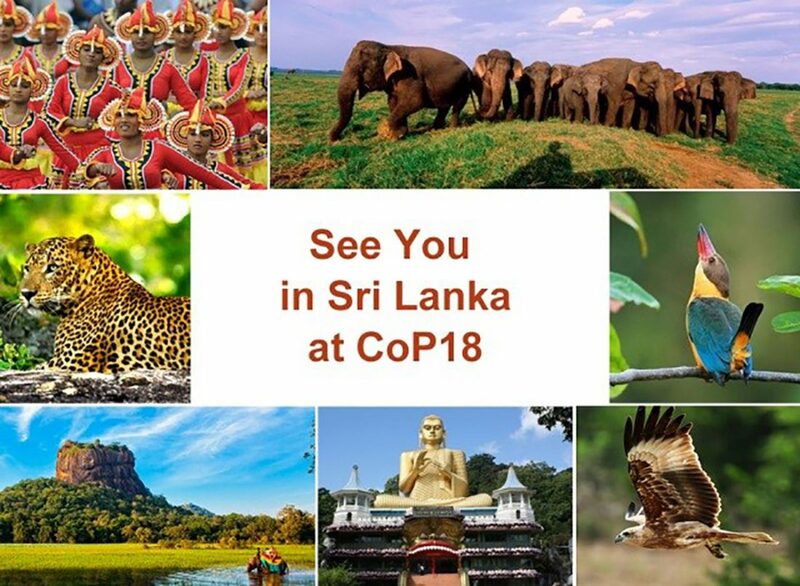 Thousands of delegates will assemble in Colombo 22 May – 4 June 2019, ostensibly to save endangered flora and fauna. Yet for many, there is a different agenda: get donations flowing in. The Conference of the Parties (CoP) of the Convention on International Trade (CITES) are to wildlife conservation NGO’s are what Christmas is to retailers. For the latter, it is peak selling season when sales surge. It is the same with the CoP and NGO’s. By definition, revenues from NGO’s are generated through donations. As in the past, most of these public donations come through media channels; today there are simply more of them, both social and traditional. And just as in the past, CITES, is inclusive. Yet the days of simply running an advertisement in a newspaper (NGO), or hosting a CoP under a tree (Gaborone, 1983) are far gone. Why have CITES events become commercial events? First of all, CITES itself has grown. In 1983, there were 81 Parties. Today, 2019, that number has expanded to 183. Rumor is that Plenary in Sri Lanka will be conducted in a tent. A wider audience means, on the one hand, more people to influence, and on the other, more media. Second, the field of wildlife conservation has expanded. 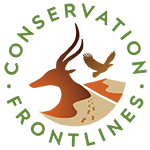 Formerly the purview of biologists and forestry officials, today lawyers, economists, media specialists, policy analysts, lobbyists, and campaigners join the party. Many of these people are from areas other than wildlife conservation, such as animal rights, animal welfare, musical instrument associations, firearms associations, and community groups. As the field has expended, so public interest and the number of NGO’s. Media now have dedicated environmental reporters, and big events guarantee the ability to file numerous reports. The third reason for the explosion is that wildlife conservation—that includes Conventions themselves and NGO’s—is a maturing industry and is exhibiting textbook examples of such. As industries mature, customers (donors) become better educated. They make more informed choices. They are choosier. Providers, in this case Conventions and NGO’s, must expand their product and service offerings to retain their customer and client bases and attract new entrants. Donations (including grants and secondments) are the equivalent of revenues. In the context of wildlife conservation, “Products” are species—think charismatic megafauna, and “Services” are programs, such as Demand Reduction and Livelihoods. Some customers become fickle, switching their allegiance to other organizations, or to other causes. Providers must protect their customer bases, while eliciting donations. More organizations are chasing the dollar. 1) There is a Crisis. In our world, it’s typically been one of a species or a sub-set thereof, facing an Endangered Future. It is important to recognize that wildlife conservation and animal welfare have deliberately been conflated (extending the Product and Service lines), so that today’s message increasingly goes beyond “pure” conservation to concern individuals as well as populations. Crisis + Villain gives rise to the 3) need for a Savior, in this case it is always the NGO, and, by extension, a government hosting or collaborating with the NGO, and donors to that NGO. You cannot put it more plainly than “Be part of the Solution”. This is why an NGO will run a survey, so as to approach a government with “votes in hand”. No sane politician would ignore a potential bloc of votes. Surveys are also used to educate and solicit funds. This is a win on both sides of the coin for the NGO as it solidifies its audience with both individuals and their governments, and raises money at the same time. CITES is truly Christmas, when both Villain and Savior will be in the same room, at the same time, discussing the Crisis. Thanks to technology, the public can also be present, in real time. Anyone can sit in a CITES meeting and tweet or otherwise electronically immediate communicate it is working hard on a certain issue. Donors can virtually participate in working groups, attend side events and press conferences, and listen to interventions. When the public tire of the same Crisis, and donations started to taper off or become too expensive to solicit, NGO’s “expand their product offerings” in two ways. The term marketing professionals use is “commercial wear out”. One way to protect the customer base to “market” new, charismatic species. The pangolin is a prime example. A few years ago, it was not on anyone’s radar. 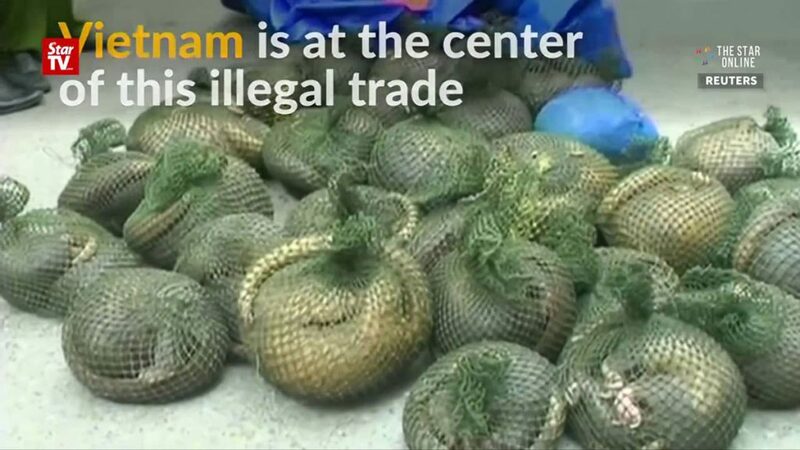 Now NGOs are stumbling over themselves to support “the world’s most trafficked animal”. The pangolin fit a number of criteria. 1) It has eyes and a face 2) it curls into a ball, looking vulnerable 3) the Villain was China. People were tiring of hearing about elephants and tigers, but their capacity to believe bad things about an alien tribe was not yet saturated. Another new product is Demand Reduction. This is a culturally less disdainful antidote to the Villain which must tolerate domestic campaigns within its borders. It also offers a way to infiltrate the Villain, and has the ultimate aim of ‘divide and conquer’. Demand Reduction is now a multi-million-dollar business; however, it has inherent problems. These problems have been at the core of CITES since its inception and are basically about what to do about people who depend on wildlife for a living, and the right of humans to use animals. If so, do some humans have rights (subsistence hunting) while others do not (fur pelts). Until these core issues are discussed openly, they will continue to dominate in subtle ways—and NGOs will tease them out, so as to generate revenues. This is the simple model. In a more mature stage, management and even control of the public narrative is required. This goes beyond overt advertisements, infomercials, and lobbying politicians directly. 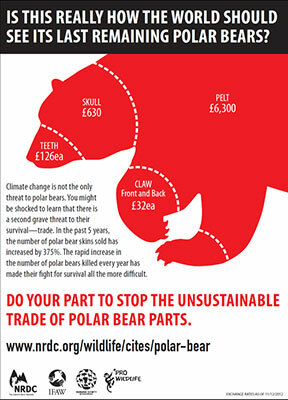 A well-documented example is the polar bear campaign that was run prior to CoP15 (2010) and Cop16 (2013). This was a well-coordinated effort to up-list the polar bear to that all trade would be prohibited. In this instance, a lead NGO (which has subsequently been elected into IUCN!!) manipulated the narrative by cherry-picking data to spin a story. In what has become part of the play book, NGO’s present selective facts to tell the stories which supports their business model, i.e. fundraising or policy objectives. Frequently they start with a public opinion survey. This is subtly worded or polled in such a way that the outcome (generally Trade Ban, to deny the Villain and promote a sense of moral superiority to the Saviors) is pre-determined. Positive public opinion to, say, “save” polar bears (Crisis) is played out in the press (happy to have a story, with readership guaranteed by the survey and NGO publicity on social media). CITES delegations are then urged to vote for the solution that appears to be supported by his or her constituency. How, then, can one be optimistic about the role of science in CITES? The Conference of the Parties of CITES has become a veritable media jamboree. This is fully facilitated by the Secretariat, which maintains special channels—and free passes VALIDATE—for accredited media, offers dedicated press facilities, and has institutionalized briefings as part of the daily routine. One tiger campaigner who had written a book avoided paying the full US$600 fee for Observers by applying under the auspices of her publisher. From the media perspective, having the opportunity to interview Villain and Savior in front of the Crisis is a home run. Thousands of people will descend on Colombo in May. The general public will hear about how hard they are working to save wildlife. What they will not hear about is the millions of dollars that those who preach about the evils of commercial trade will themselves have reaped. Kirsten Conrad’s research interests include legal and illegal trade, captive breeding, in situ conservation, trade bans, demand reduction, animal rights and animal welfare, and Traditional Chinese Medicine. Kirsten has lived in Asia since 1995 and is a member of the IUCN SSC Sustainable Use and Livelihoods Group (SULi) and the CITES Working Group on Asian Big Cats.